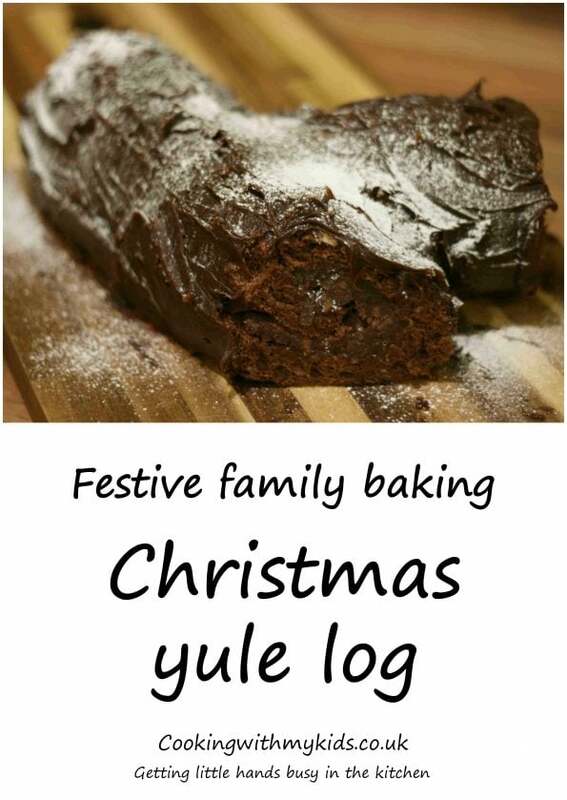 What’s more Christmasy than a Yule log? I’ve never actually got round to making one before but have always wanted to. This year Hannah and I (with a bit of help from Daddy and Lewis) gave it a go using a nice easy recipe from BBC Good Food. 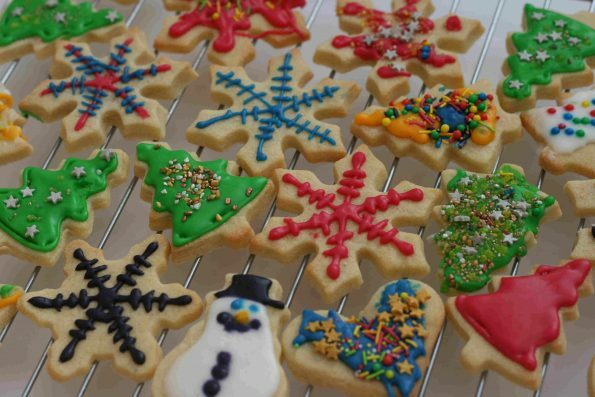 It was delicious – a definite centrepiece for your Christmas table! 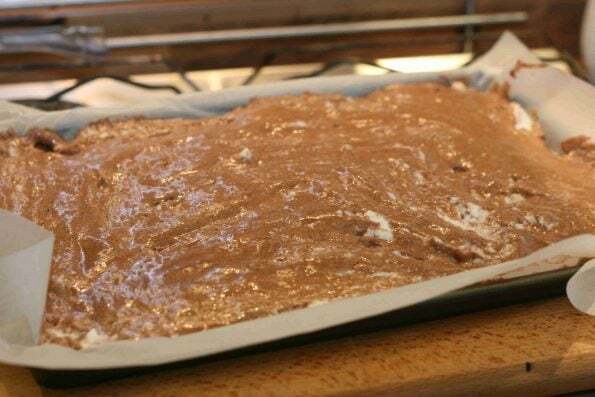 Preheat your oven to 190C/fan 170C and prepare a swiss roll tin. 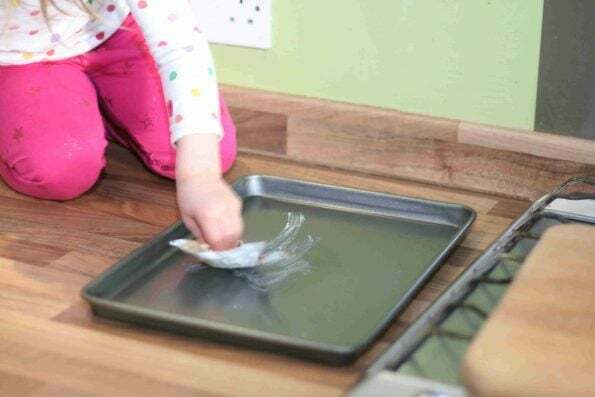 Get your toddler to butter and line the base and sides of a 30 x 35cm Swiss roll tin with baking paper. If your child is older they may be able to help with this. Hannah is a bit young, so I did this step while she measured out the sugar. Separate your eggs into two bowls. 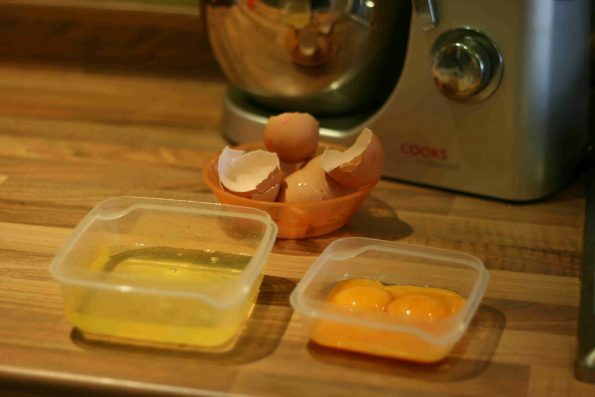 Pop your egg yolks straight into a stand mixer/mixing bowl. 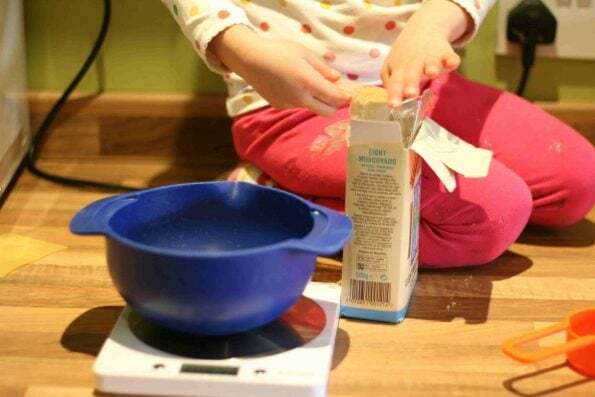 Get your toddler to weight the sugar into a bowl, then add to your egg yolks along with 2 tbsp of water. 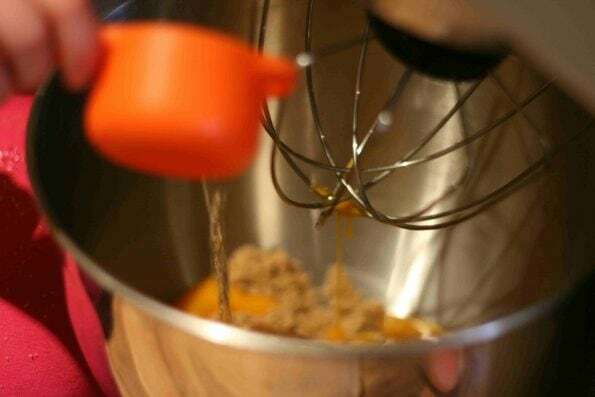 Whisk the eggs and sugar using stand mixer or electric whisk until the mixture has thickened, is light in colour and leaves a trail when the whisk is lifted. It took us about 5 minutes. 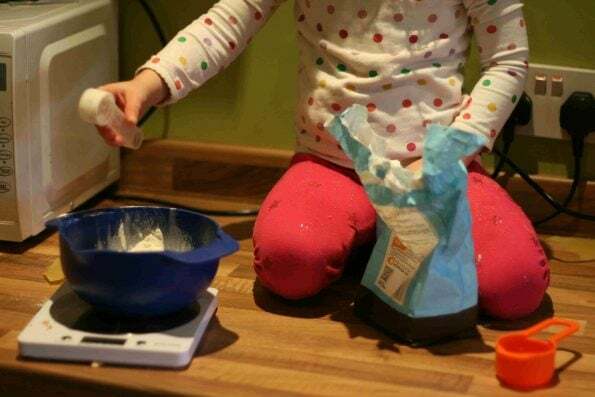 Get your child to measure out the flour and cocoa powder. Sift them into the eggs/sugar. 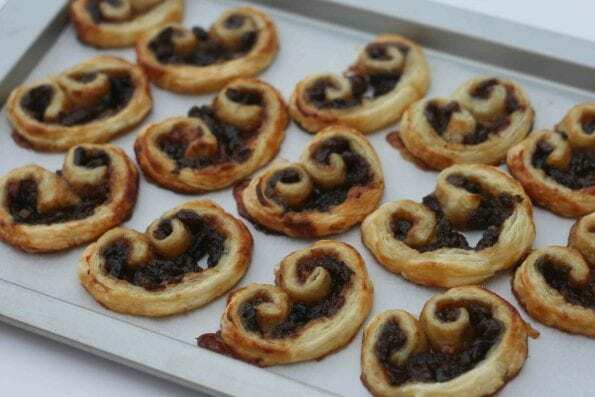 Fold in very carefully using a metal spoon or your whisk blades. 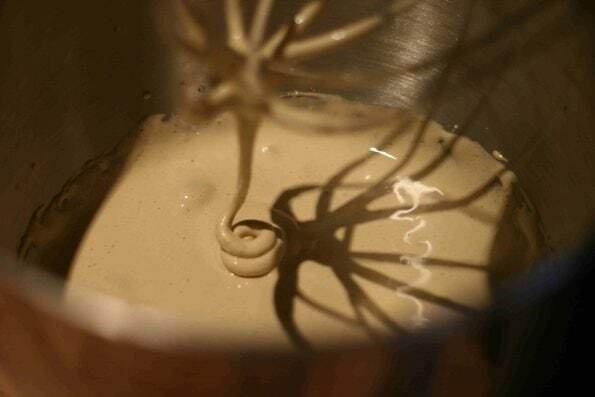 Clean your whisk/stand mixer (we had to put the cake mixture into a different bowl.) 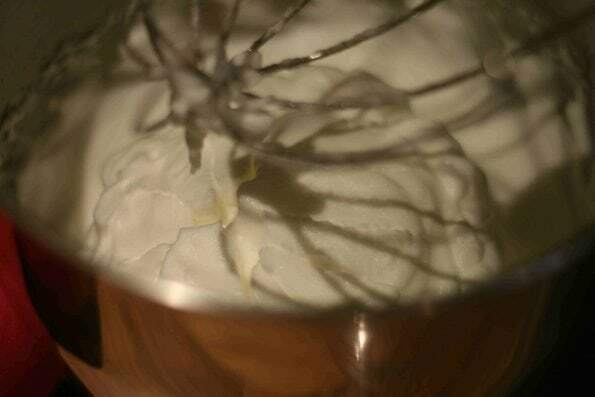 Add your egg whites and whisk until they are stiff. 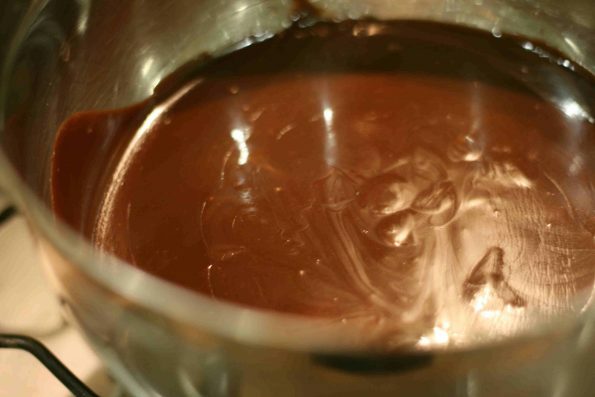 Add them to your cake mixture, folding it in a third at a time, again using a metal spoon/your whisk blades. Try and keep as much air in as possible while thoroughly mixing the whites in. 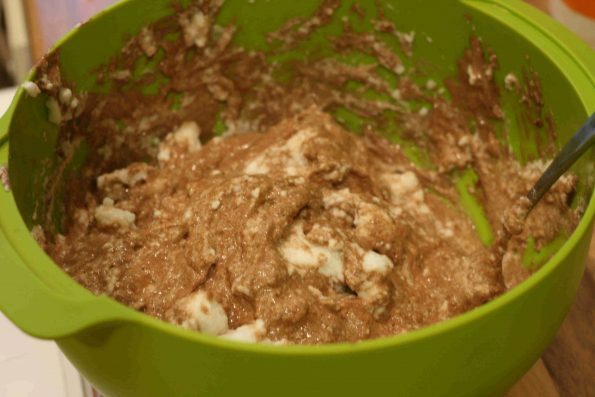 We probably didn’t mix it enough as there were still a few lumps of egg white – we didn’t notice that while we were eating it though! 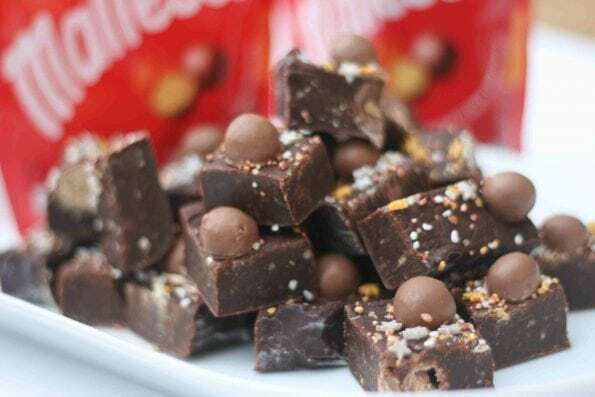 Get your toddler to pour the mixture into your prepared tin and spread to the edges. Bake for 10-12 minutes until the cake feels firm to the touch. 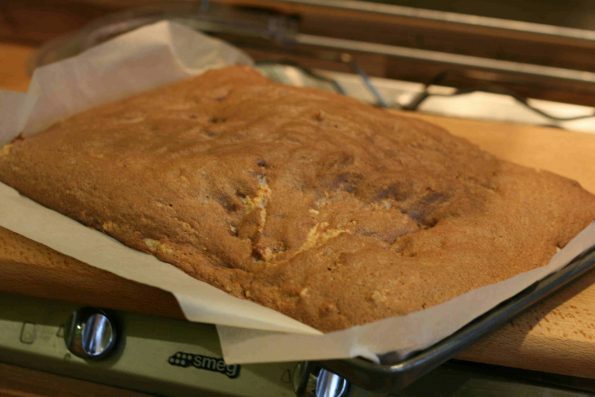 Put a large piece of baking paper on to your work surface, sprinkle with caster sugar then turn the cake out on top. 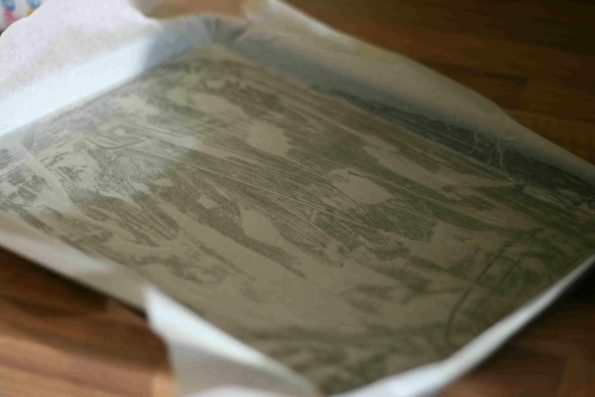 Cover with a clean tea towel and leave to cool completely. Trim a little cake from all the edges to neaten it up, then score along the edge of one of the long sides of the cake. 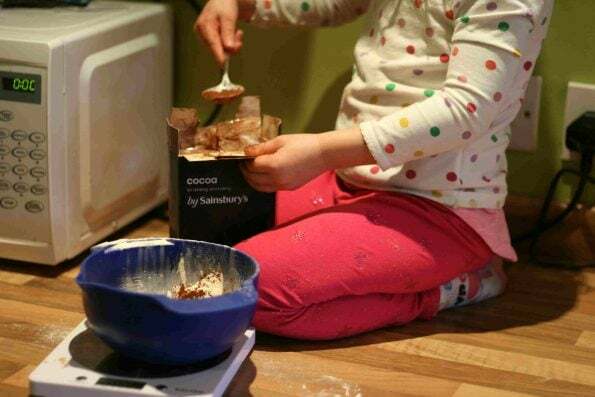 Get your toddler to help you roll it up from there, using the paper to help you, rolling the paper up inside the cake. Do it as tight as you can. Pour the cream into a small pan and bring to the boil. 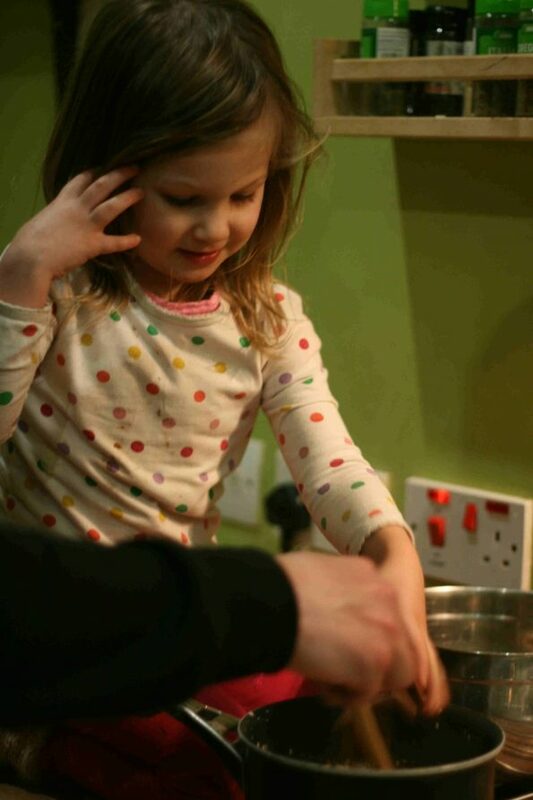 While the cream is warming get your toddler to help you break 400g of the chocolate up. 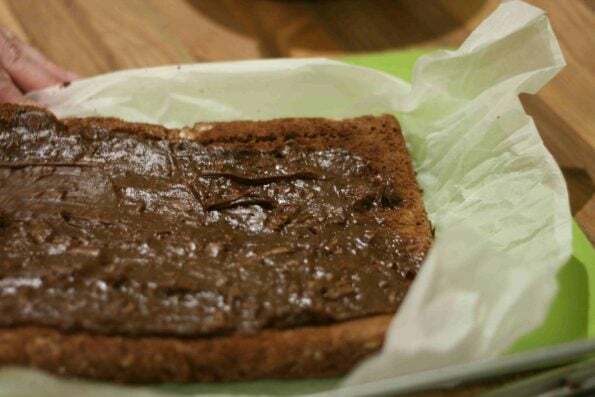 Remove the cream from the heat, then add the chocolate. Stir it until it has melted and smooth. Leave it to cool, then chill it until it is spreadable – about an hour. 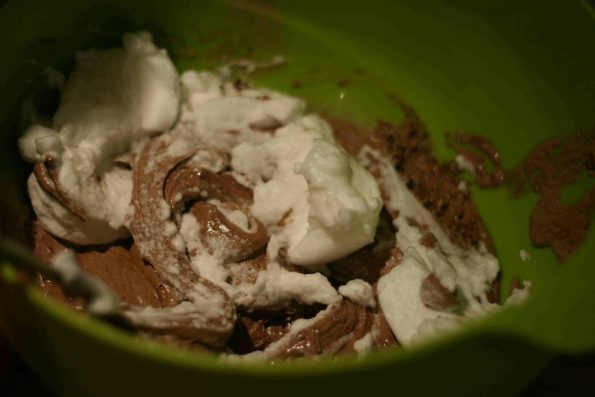 Spoon a third of the icing into a bowl with the chocolate pieces then stir together to make the filling. 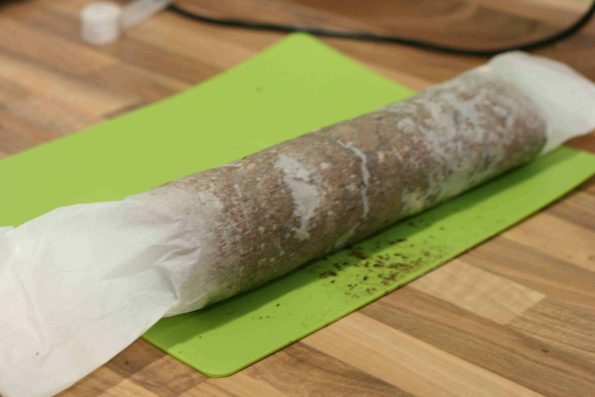 Carefully unroll the yule log, then spread all the filling over to within 2cm of the edges. Roll up the cake again using the paper to help guide you, then set on a board or serving plate. 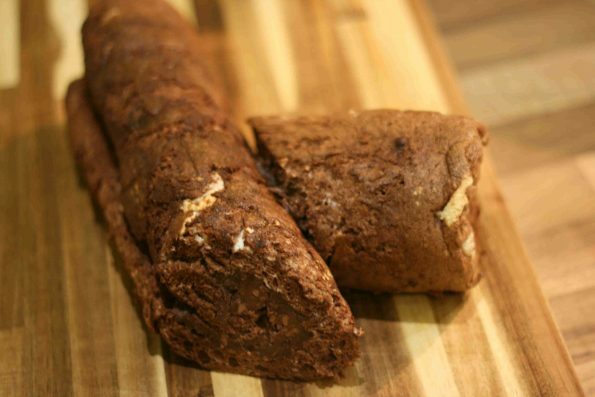 Cut a thick diagonal slice off one end of the yule log. Spread a little icing over cut side of the small piece of cake and fix it to the large roll to make a stump. 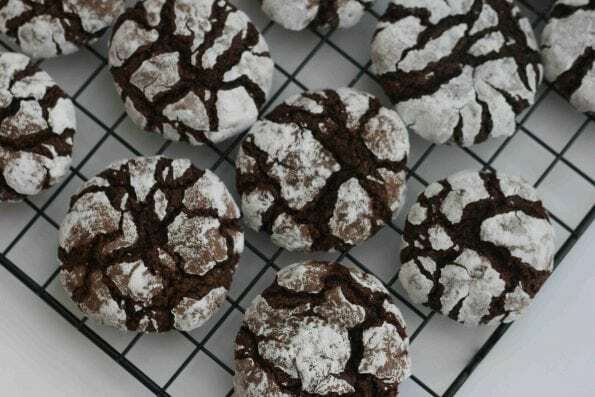 Spread remaining icing over the cake, then dust with icing sugar to serve. 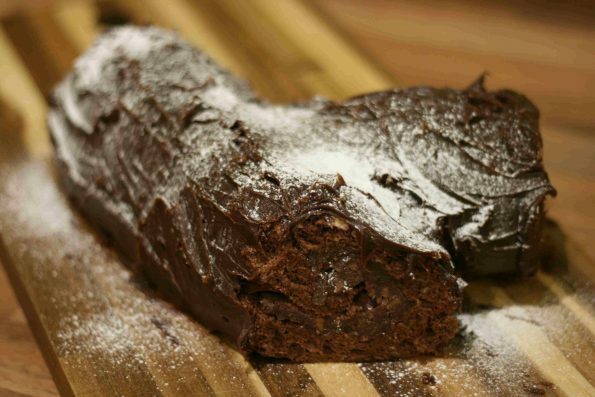 Oh yum, who doesn’t love a chocolate yule log? 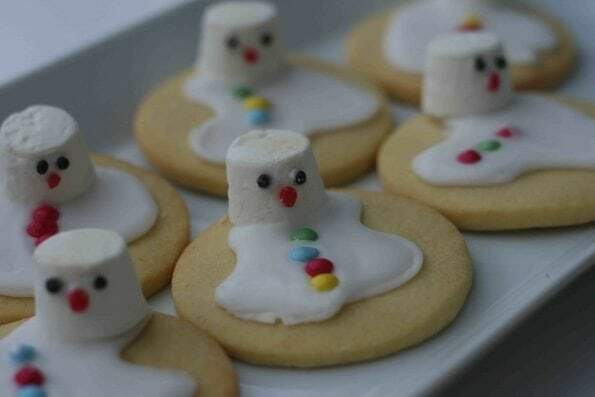 I’m planning on make one this year too. 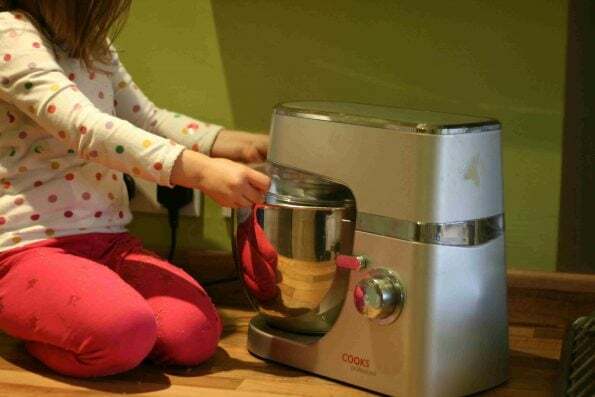 Commenting as BritMums Baking Round-up Editor.